Research shows obesity decreases the effectiveness of immune responses while increasing the likelihood of complications. While expats have known for a long time that obesity increases their chances of developing conditions such as diabetes and heart disease, it may also limit the effectiveness of flu vaccines. New research published in the International Journal of Obesity shows that obesity impairs peoples’ immune responses to vaccinations. The study reports for the first time that influenza vaccine antibody levels decline significantly in obese people compared to healthy weight individuals. What’s more, responses of CD8+ T cells (a type of white blood cell that plays a key role in the body’s immune system) are defective in heavier people. About 50% of obese participants had a four-fold decrease in antibody levels at 11 months compared to one month post vaccination. However, less than 25% of healthy weight participants had a four-fold decrease in antibody levels. These results suggest that overweight and obese people would be more likely than healthy weight people to experience flu illness following exposure to the flu virus. 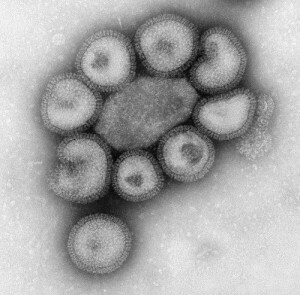 Previous studies have indicated the possibility that obesity might impair the human body’s ability to fight flu viruses. These new findings seem to give us a reason why obese people were more susceptible to influenza illness during the H1N1 pandemic compared to healthy weight people. In 2005, Beck and her colleagues reported that obesity in mice impaired the animals’ ability to fight influenza infections and increased their likelihood of dying from influenza, compared to lean mice with the same infections. In 2010, her team showed that obesity seemed to limit the mice’s ability to develop immunity to influenza, suggesting vaccines may not be as effective in obese and overweight as in healthy weight humans. Also, the fatality rate was higher in obese mice: none of the lean mice died, compared to 25% of the obese mice. The findings also suggest overweight and obese people are more likely to become sicker and have more complications. That’s because influenza-specific CD8+ T cells do not protect against infection, but instead act to limit the disease’s progression and severity of disease.